Popular TV shows like Fixer Upper and Property Brothers have brought the charms of owning a fixer upper to light. A fixer-upper can be a great option if you are prepared for the experience of owning a house that needs work and time. A house that needs work can be a great investment if you are ready to invest the time and money into it. On the other hand, buying a fixer upper might be a problem if you are not aware of what you are getting into. Not sure if owning a fixer upper is worth it? Here are some considerations to think about. Start with the likely market value of the house after renovations will be made. Then, sum up the cost to renovate the home. Then, add another 25 percent to the renovation costs for unforeseen problems that will no doubt come up during the renovation process. Next, subtract the renovation costs from the probable market value of the house after the renovations are made. Use similar real estate prices in the area to get your estimate. What number is left? This number what you should offer. So, if the comparable estimates are $100,000 and the house needs $25,000 in work, then you should offer no more than $75,000 to break even. Most professionals recommend deducting 10 percent from the asking price just to make the investment of time worthwhile. If you buy a fixer-upper, you’re going to need some way to fund the renovations. It can be hard coming up with the funds for repairs and upgrades after paying closing costs. Some options for funding renovations include a renovation loan, like Fannie Mae’s HomeStyle Loan. This loan is rolled right into your mortgage, which makes things easier. Another popular option is an FHA 203(k) loan. This loan is a little easier to qualify for than the Fannie Mae HomeStyle Loan and it only requires 3.5% down. Buying a fixer-upper is an investment. You will have to invest your time in making a lot of decisions. You’ll need to decide on things like building materials and aesthetics. Do you have a design or architectural background? Do you enjoy remodeling projects? 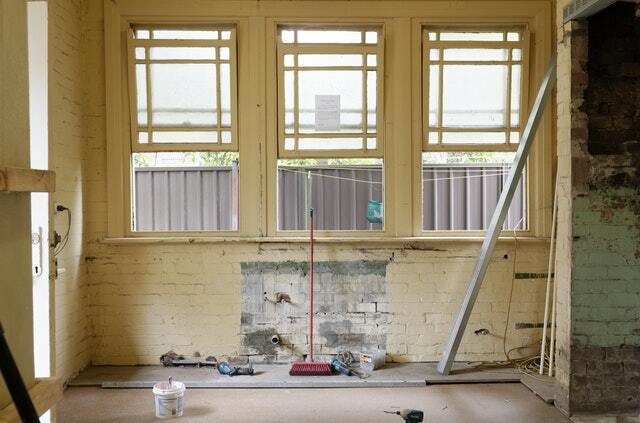 These are questions that you’ll really want to think about before buying a fixer upper. Your trusted mortgage professional will be your best resource to help you secure the right financing for your new home project.